Thank goodness no solar panels were harmed. *EDIT* According to this pic, a Toyota Prius seems to be at the center of the blaze, and the black area on the roof just might be a solar panel. "New for Dorney in 2017 - the addition of 8 new bumper cars!" And Michigan's Adventure still doesn't get anything. Dude, your stuff is on fire! Anyone see Aaron Rodgers nearby? Friends of ours were out there and their rental car was broken into in the parking garage. They were told that you park at your own risk. I wonder if that's what these people were told after cars caught fire. "Park at your own risk" is pretty standard for any parking lot or garage, paid or not. Craziest thing, though... the radio still works! Hmmm, I wonder if the Prius in question is a new one with the new lithium ion battery option? 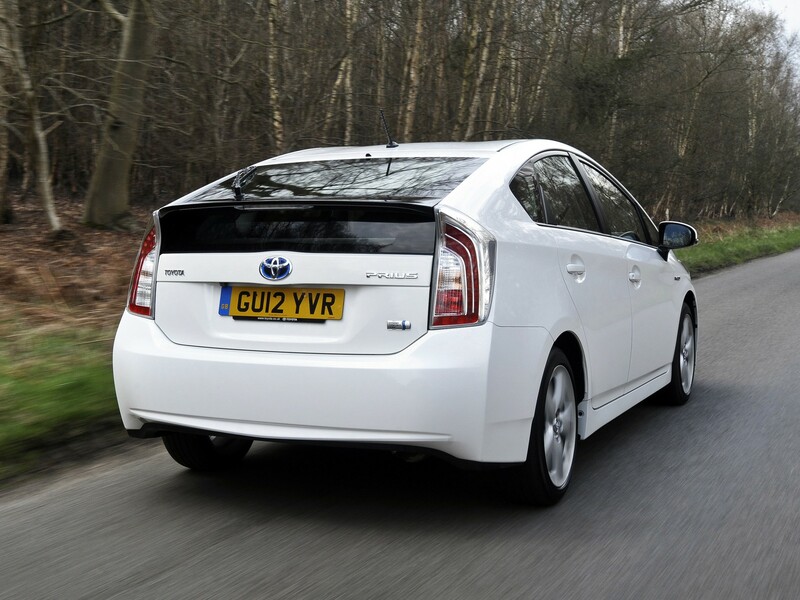 Toyota historically used nickel-metal hydride chemistry in Prius batteries but is now offering the lithium ion option. Boeing (B787) and Samsung (Note 7) have had serious battery issues on their products in the past, perhaps Toyota is joining them. Doubtful. I have 100 kWh of those batteries in my garage and I'm not particularly worried about it. One type has been around for four years, the other for seven, none have ever spontaneously caught fire. New-er, but not new-est. This model appears to fit the burnt out shape. This is 2011 - 2016, I believe. I'm an auto "enthusiast" but cannot think of a vehicle I'm less "enthusiastic" about than the Prius. (Maybe the i-MiEV.) Mostly I'm doing this because I enjoy identifying cars. Especially by hard to decipher pictures or partial pictures. I thought Toyota and everyone else had taken care of the battery fire issues. I wasn't suggesting that the Prius caused the fire, but it did appear to be at the center of it, regardless of what happened. I'm a car enthusiast as well, and the Prius is also one of my least favorite cars, but I rented one once and didn't hate it. It actually handled pretty well for what it is, and had more power than I expected. Granted, that was after I turned off Eco mode or whatever it's called, and there's no way in the world I wouldn't do that every time I got behind the wheel. But that entirely defeats the purpose of owning a Prius. That's a 3rd gen Prius. I had one of those, as well as a Prius V (the "wagon"), and they were both pretty great cars that got crazy good mileage. The V was a little lower, but the amount of cargo you could get in that thing was nuts. We're all-EV now, and I never want to go back. The idea of millions of tiny explosions propelling your car after you've felt the immediate torque of an electric motor seems silly. Although there are some really sweet IC engines that make it a pleasure to drive. I like electric cars but for me to own one would require a much larger nationwide charging infrastructure and a little quicker charging. I drive around 40k to 50k a year so range and quick charging is an issue. We'll see what type of charging infrastructure VW comes up with as part of the diesel settlement. Who knows, maybe an electric Tesla or VW is in my future at some point. There isn't anywhere I haven't been able to drive in the Tesla. I even drove to NC around a hurricane. Yeah, the only real unsolved problem with EV's is cost, and no amount of my enthusiasm or advocacy overlooks that. But it's getting there. The Bolt sort of proves what is possible (although I can't understand why they're allegedly taking such a bath on the cost), and the Model 3 will deliver in volume. I'm confident they will get there, sooner than we think. I daydream about paying off my Mazda, parking it and using it for longer trips and more "practical" uses, and picking up a fun little EV to make my commute to work a little better. I would love it more companies came out with electric and even hybrid models of their current lineups, but who knows when that will become practical. Honestly, it was the Nissan Leaf that sold us. That's what we use for a lot of the daily getting around. The range is limited to around 100 miles, but we never do more than that running around town. Despite what I said about the Prius in my last post, I was actually disappointed when, last year, we almost rented a Prius C. (The small one) We chose it from the row of "compact" rentals, but it had a terrible smell inside. We ended up in a Kia Soul, but since we put 1000 miles on the car at California gas prices, it would have been nice. I'm curious to drive one and feel what it's like to live with it. As a rental, it's okay for a week. And since we're thousands of miles from home, it's not like we're ever going to see these people again, right? Hahaha. As for EV's, I think I've mentioned to Jeff that I did drive a BMW i3 once. It had a very impressive 0-30, and a cool interior, but not a vehicle I would ever own. I like the Chevy Bolt, but I don't feel you get enough for your money. I've also said I'd love a Tesla. Of course, it would have to be the $110,000 "ludicrous speed" model... But due to my unique commuting situation, the car is unusable to me at the present time. If the Model 3 were to be offered with a gas engine backup, like the Volt or i3, I'd seriously consider one.